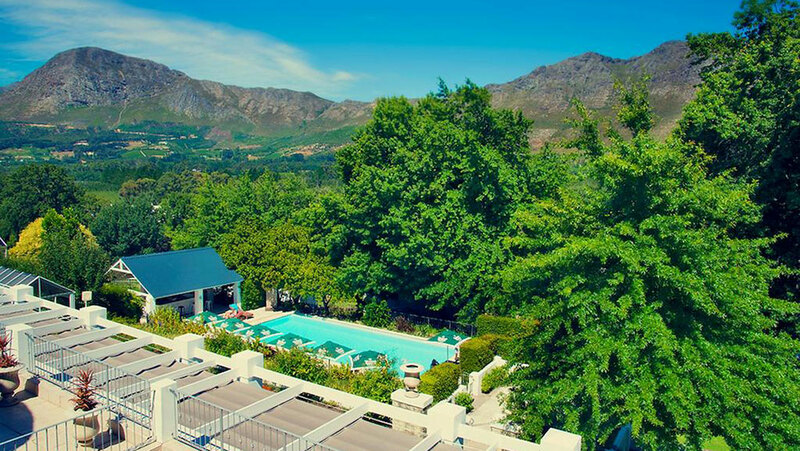 Situated in the Cape Winelands amid historic thatched buildings and beautiful mountain views, Le Franschhoek Hotel and Spa comprises a range of 79 ensuite rooms, suites, and villas. Simply yet stylishly furnished with an eye for detail, they incorporate the site’s history while providing all the facilities of the modern day. One of the oldest towns in South Africa, Franschhoek – which means French Corner in Afrikaans – is just 75 kilometers from Cape Town, in the heart of the Cape Winelands region. Internationally-renowned for the quality of its wines and popular with Cape Town residents, the town is home to some of the country’s finest restaurants, making it a must for food and wine aficionados. 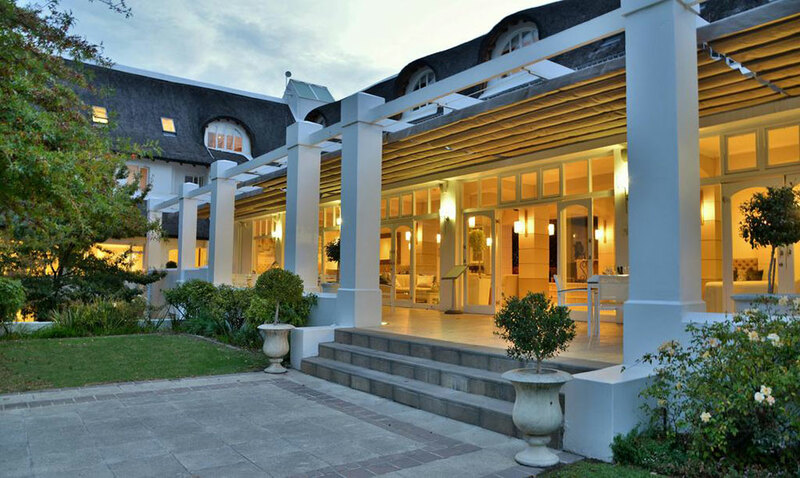 Le Franschhoek contains no less than four different restaurant options, Camelot spa, swimming pool, and tennis courts. 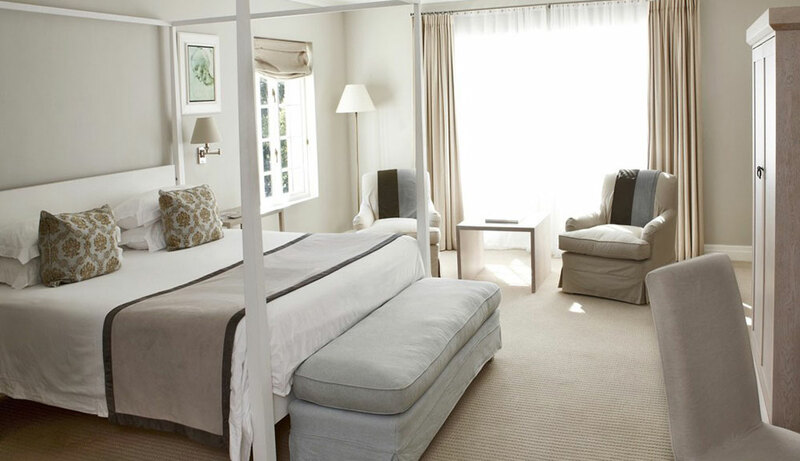 With crisp and clean lines, each of the rooms available at Le Franschhoek provide an amply-spaced lounge area in which to relax in addition to the full ensuite bathroom that comes complete with bathtub and frameless glass shower. Additional details include a high-end coffee machine and flowers freshly cut from the perfectly-tended gardens. Their deliberately neutral tones are intended to complement the surrounding countryside, while satellite television and WiFi come as standard. Deluxe rooms and suites include a private furnished exterior balcony, while the detached villas boast the iconic Cape Dutch architecture and kitchenettes for those looking at a self-catering option. Le Franschhoek’s four restaurants include the well-respected fine-dining restaurant called Sauvage, complete with its own grand piano, and the La Pavillion restaurant, which overlooks the immaculate gardens. The terrace bar and lounge provide a further space in which to enjoy a coffee or the area’s fine wines in a contemporary space with a laid-back atmosphere adorned by artworks. The space extends outside around the swimming pool, for fabulous views to the chain of nearby mountains. The countryside around Franschhoek is dotted with neat rows of vines belonging to wine estates that welcome visitors looking to sample their latest vintages. Sometimes called South Africa’s gastronomic capital, it also has a fantastic range of fine-dining restaurants. But its mountain landscape also lends itself to horse riding and hiking, perhaps the perfect way to work up an appetite. In addition to the use of the swimming pool and tennis courts, guests are able to book an extensive range of traditional and more contemporary treatments at the onsite Camelot Spa before being spoilt by the canapes, patisseries and local Cap Classique sparkling wine at the hotel’s daily afternoon high tea. 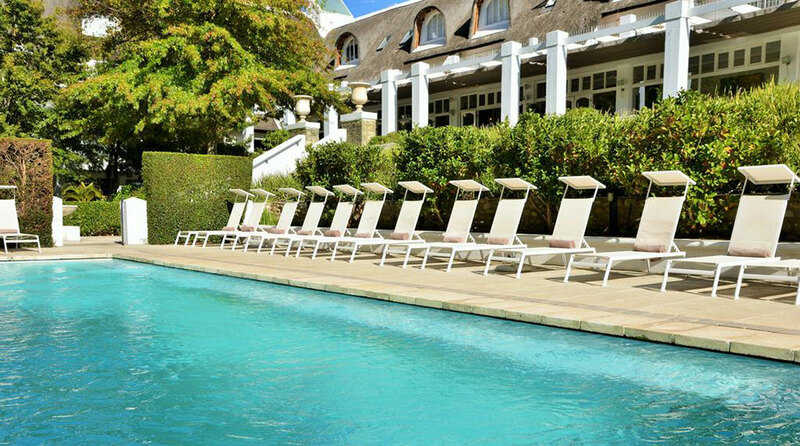 Want to see Le Franschhoek Hotel & Spa as part of a trip? Enquire today to let us help build your holiday.